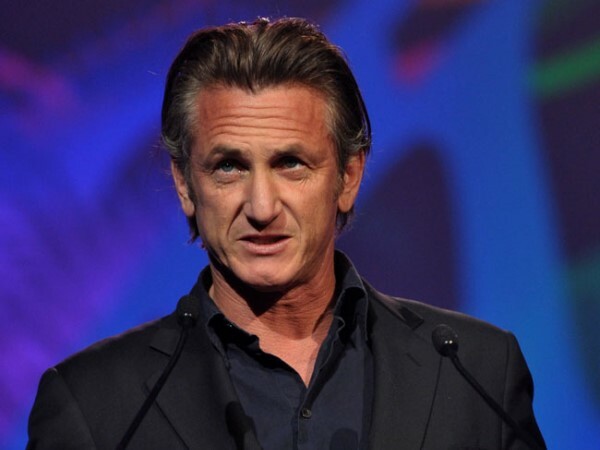 Sean Penn has thanked his ex-wife Madonna for coming to Haiti to help him with his charity work. Sean Penn has thanked Madonna for coming to Haiti to help him with his charity work.The Gangster Squad actor - who was married to the Material Girl singer for four years from 1985 to 1989 - is founder of the J/P Haitian Relief Organisation and Ambassador-at-Large for the Caribbean country and he was delighted when his ex-wife decided to come to the country to help him with his efforts, something that didn't take much convincing. "She said she would. She came down with her son Rocco and it was great to have them down there." Haiti was struck by a devastating earthquake which killed more than 250,000 people four years ago and Penn has since been working to provide rescue and aid efforts to Haitian's whose lives have been destroyed by the disaster. The 53-year-old actor - who has children Dylan Frances Penn and Hopper Jack Penn with his second wife, Robin Wright - added that Madonna's presence on the island helps the world to see "the enormous amount of change that's happened in Haiti". Up for auction at the Help Haiti Home benefit was a sculpture made out of the father-of-two's gun collection - which he was persuaded to destroy by "a strong woman who happens to be from South Africa", believed to be his new girlfriend Charlize Theron. The pair went public with their relationship at the event, and have been staying at the Chateau Marmont hotel in Hollywood for the last few days where they have been "loved-up" according to other guests.